Lakeview Plaza Motel's Standard Rooms are great for people wishing to have a comfortable room at an affordable price. Our rooms sleep four persons and are equipped with a TV, refrigerator, microwave and kettle. 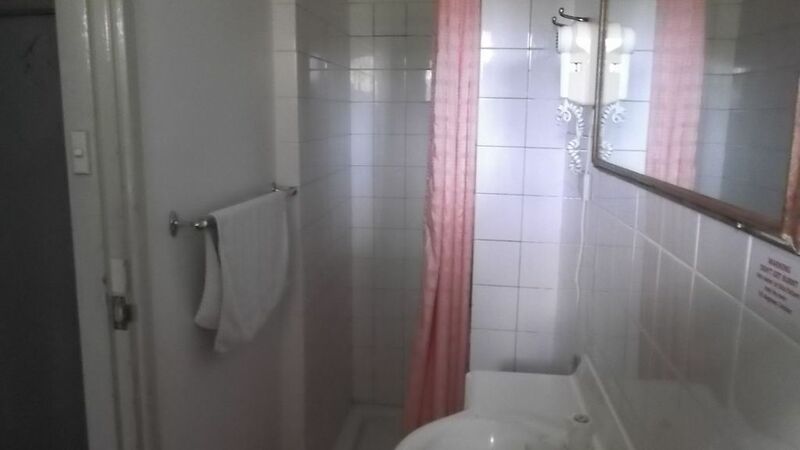 All rooms have a separate bathroom and central heating. If you require to book for larger groups please call direct. Situated in truly the best location the rooms are great for people wishing to visit the snow and enjoy the shopping and night-life of central Jindabyne. Please have credit card handy for booking full amount is payable upon booking and is non refundable. We are also only a 5 minute walk to Lake Jindabyne, Parks, Pubs & Old Town Centre shopping precinct. The NPWS Visitor Centre & bus stop is also a short 2 minute walk from your door. We are 30 minute drive to Perisher & Thredbo & 15 minutes to the Skitube. Of course we all know Jindabyne during winter is the gateway to Australia's best ski fields but during Summer there are many unique & fun activities for young & old! * Snowy Wilderness - go explore!! Admittedly this was the last hotel room available in Jindabyne for this period and we were really grateful to be able to book it & be close to the ski fields BUT it really was in poor condition. We have traveled a lot, and I have never seen a hotel room like this. It was warm, and tiny as I had been warned (that's fine), and was in a good location, but it was also really dirty, and one of the single beds was broken in the middle (fortunately my youngest child was short enough not to be bothered). We could cope with all of this, but the worst thing about it was the noise. We were right under the stair case so the constant thumping of people going up and down the stairs all night long was annoying, but more annoying were the people coming and going all night from the rooms next door, yelling and carrying on, music blasting, and basically sounding like we were sleeping in the middle of a super noisy pub. Actually sleeping did not happen - we would've been better off attempting to sleep in the car. I know the noise is not the owners fault, and I get that it's right in the busy ski season & near the back packers accom over the road so expected it a bit, but there was absolutely nothing done about it. Never ever again.. This was the dirtiest and most run down motel we have ever stayed in. Discarded fridge and ovens out the front, mould all over the bathroom, cracked walls, mould in the bedrooms and what felt like dirty sheets. No electrical items were tag tested and I can't see how they passed their fire inspection. Avoid at all costs. Great value for money, room was comfortable and warm . Handy location for everything. The owner - Mario , was a pleasure to deal with . We stayed 4 nights and the fire alarm went off in the middle of the night 2/4 nights. We stayed on the ground floor and could hear the movements of the people the floor above us especially late at night. Therefore, we did not get goodnight sleeps which were not conducive for skiing the next day. The staff at the motel were lovely and helpful. This motel is situated where it was convenience to shops and restaurant.